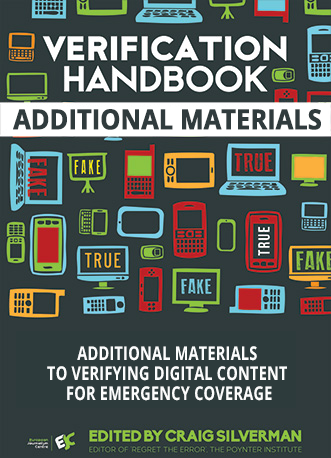 The Verification Handbook is a groundbreaking new resource for journalists and aid responders, which provides step-by-step guidelines for using user-generated content (UGC) during emergencies. 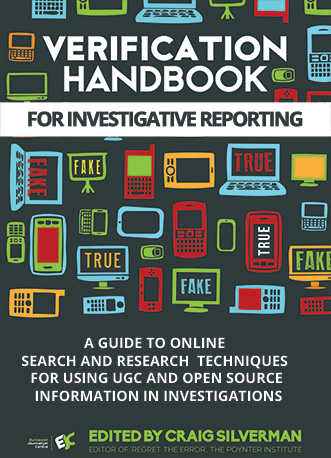 While it primarily targets journalists and aid providers, the Handbook can be used by anyone. 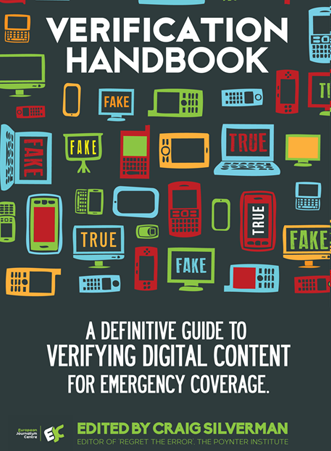 It’s advice and guidance are valuable whether you are a news journalist, citizen reporter, relief responder, volunteer, journalism school student, emergency communication specialist, or an academic researching social media. The European Journalism Centre (EJC) is an independent, international, non- profit foundation dedicated to the highest standards in journalism, inter alis through the further training of journalists and media professionals. Building on its extensive international network, the Centre operates as a facilitator and partner in a wide variety of journalism-related projects.